With extensive experience of the tiling industry I have worked on a vast range of projects from fixing a couple of metres of glass tiles in a new kitchen to an entire estate of new homes. Working alongside and liasing with all other trades. I always try to find the best way to complete any project on time and on budget. Over the years I have fitted every sort of tile in pretty much every size. I have succesfully fitted tiles to anhydrite screeds, which are popular for "wet" underfloor heating systems & onto all manner of other surfaces. I can offer a fixing service if it is the more conventional electric under floor heating systems For some friendly advice and guidance on your project please get in touch for your free, no obligation, quotation. I chose Rob of Robert Prescott Ceramics as I read his reviews on line and was impressed by the comments. 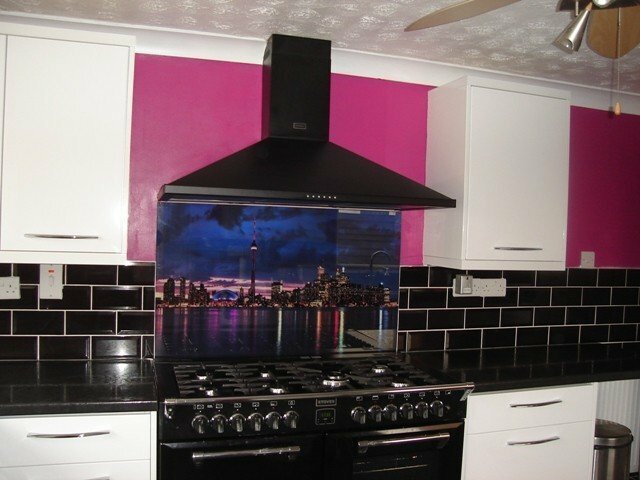 He made a wonderful job of tiling my kitchen recently, I found him to be reliable helpful and pleasant. The work was done to a high standard on time and on budget. I would recommend Rob to anyone. Wanted a local tiler and selected Rob Ceramics from the trusted trader website. Rob came to our house to see what we wanted doing. We liked his professional approach to the job in hand ie. the tiles we had chosen, the layout, trim and colour of grout ideas. We felt reassured and accepted his quote and starting date. The finished job to our kitchen is excellent and we are highly delighted. Rob is a clean and tidy professional worker and would fully recommend his work. Thank you Rob. Dave T.
Kitchen, WC and bathroom - Good job! 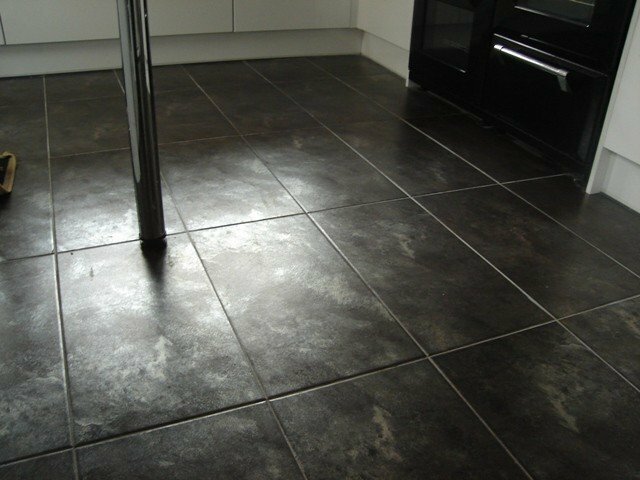 Rob of Prescott Ceramics fitted our kitchen floor tiles in our new build house earlier in the year and overall we are very happy with the finished article. Being first time buyers we were very anxious about getting a trades person in to do the work, we had heard many horror stories and this is why we came straight to trusted traders at Which.co.uk and found Rob. Rob came to our house to look at the job and on meeting him beforehand we felt reassured. He seemed very friendly, trustworthy and professional. Rob then quickly provided us a very reasonable quote. We work full time and Rob was very accommodating and did the work for us on a bank holiday weekend!!! He finished the kitchen floor in a day and overall to a high standard. We were satisfied with Rob's workmanship and friendliness. Communication with Rob was always easy, he would quickly respond to messages if we had questions. We recently had him back to tile the main bathroom and downstairs WC. Again, these were done at a time that suited us and to a high standard. We would have him back to tile at our house again and we would recommend him to others. Prescott Ceramics tiled our main bathroom about 4 years ago and did a very impressive job. He was helpful both before during and after the completion of the bathroom refurbishment. We had no hesitation in asking Prescott Ceramics to do our En-Suite last year and he did another exceptional job - going the extra mile to give us the En-Suite that we wanted. I would happily recommend Prescott Ceramics to any of my friends, relatives and anyone who knows me for his exceptional work. Excellent all round service. I have know Rob for a number of years now and he has tiled both our bathroom and kitchen. Rob recently installed underfloor heating and tiled our kitchen and extension room and has done a fantastic job. Rob is an excellent tiler and also an extremely professional and trusted tradesman. Thanks Rob. A great project for a lovely family, thank you for your brilliant review. Thank you for leaving me a review, always a pleasure to work with you, looking forward to the next job soon. We have used Rob four times now and are always happy with the result. I am quite particular but Rob never disappoints. Good value, good service, good job. Always nice to get a really positive review, Thank you. Your frequent recommendations are always appreciated too, all the best, Rob. Would not hesitate to recommend to anyone. Friendly and professional. Outstanding work. Rob tiled a large area in our house which was full of challenges. The work was done to a very good standard and we are pleased with the results. Thank you for taking the time to leave a review, there were a few challenges but I was really pleased with the overall effect, a good choice of tile always helps.